The nose is capable of accurately detecting a multitude of odors, and is an invaluable aid in wine tasting. Thanks to their extraordinary aromatic diversity, Bourgogne wines invite you to plunge into the heart of their delicate aromas. 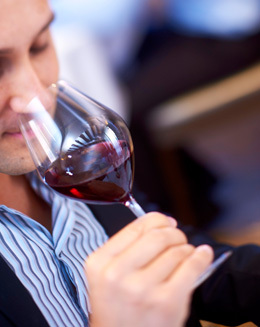 Your palate works in tandem with your nose to appreciate the full aromatic depth of a wine. It allows you to fully enjoy the expression of its aromas, by retronasal olfaction. It links the sense of taste with smell, allowing you to identify the many surprising fragrances on which the reputation of Bourgogne wines is based. Raise a glass of Bourgogne wine to your nose and you enter an extraordinary garden of a thousand and one odors. Take the time to feel the emotions that the wine inspires in you. Let your imagination carry you as you stroll in a forest, bite into a raspberry, smell a bunch of violets, and so on. The intensity, the power, the vintage, the type of ageing and the varietals used are all pieces of the puzzle that you can put together, thanks to your sense of smell. The best way to smell a wine is to sniff with a series of short inhalations. Try to pick out the emblematic odors of Bourgogne wines: red fruits (cherries) and wild berries (blackberries, blueberries) for reds; acacia blossom and citrus for white wines, for example. 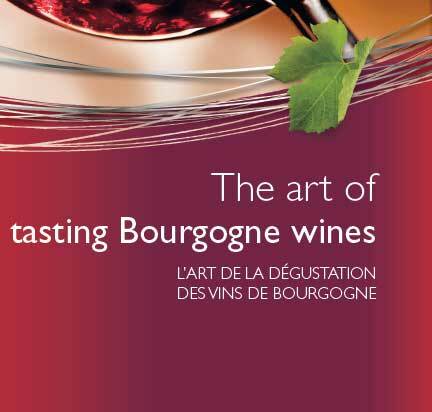 The delicacy of the aromas of Bourgogne wines opens out during the tasting in several stages. The first nose consists of smelling the wine directly, without swirling it in the glass. This is when the most delicate and ephemeral fragrances can be detected. Does the wine seem pleasant, intense, powerful, rich ? The delicacy and profusion of aromas in Bourgogne wines enrich your olfactory journey. Next, swirl the wine gently round your glass to open it up. Sniff it and enjoy the aromas (second nose). The aeration and warming gradually intensify the odors and expand the aromatic palette. Floral, fruity, mineral or spicy, the odors abound to reveal the depth and authenticity of your Bourgogne wine. The final stage of tasting takes place in the mouth.